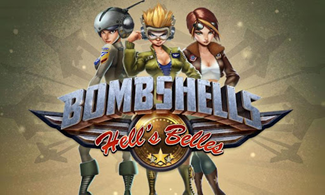 If you long for the sound of a Packard engine sputtering to life inside an aluminum death machine, you'll definitely want to check out Bombshells: Hell's Belles. 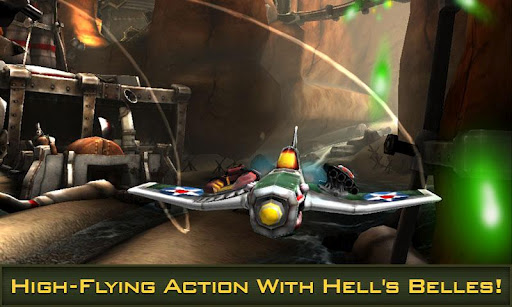 But don't look for killer gams on the nose art: Glu Mobile's latest offers plenty of eye candy sitting right inside the cockpit. Bombshells is an air combat game in the vein of Crimson Skies or SkyDrift, with a definite slant towards cartoony, arcade-style gameplay rather than simulation. The game is a free download from the Google Play Store, and like most of Glu's offerings, it's supported by in-app purchases. 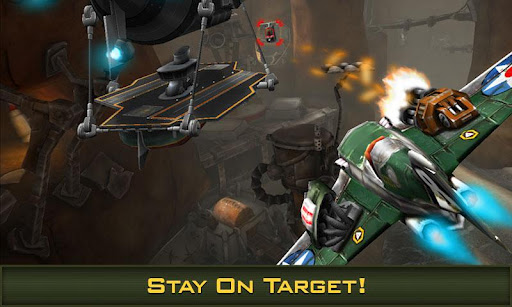 You play as one of three mercenaries whose piloting skills are matched only by their more personal assets. 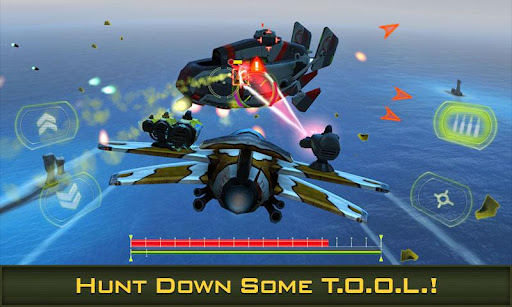 You're tasked with shooting down the T.O.O.L. 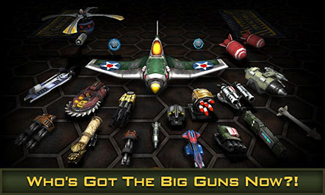 organization's aces through multiple 3D arenas, with a wide variety of customizable planes, weapons, power-ups, and environmental factors. If you're not fast enough on the Immelmann turn, you can call in supply drops with in-game currency. Online multiplayer deathmatch rounds out the package. 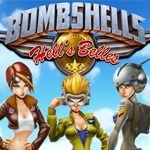 The download is a reasonable 400Mb, and you'll probably need a Tegra 2 or better to experience Bombshells to the fullest.